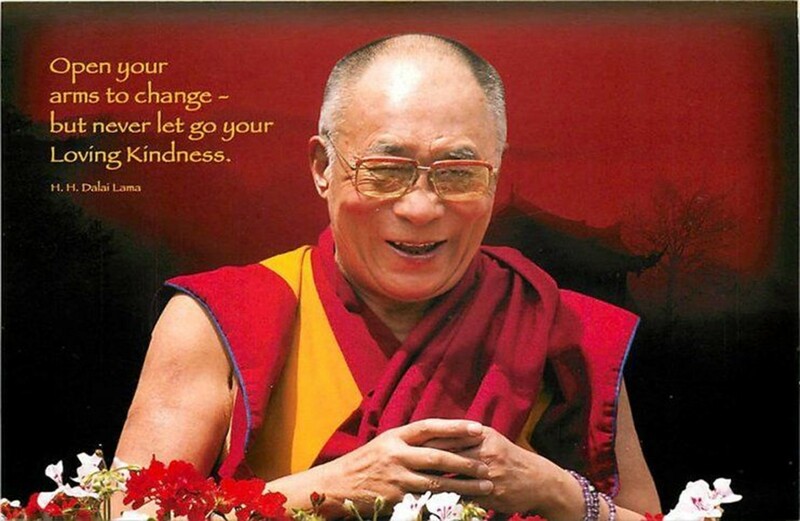 Living Tibetan Spirits invoke the Blessings of Peace and Long Life of His Holiness the Dalai Lama. 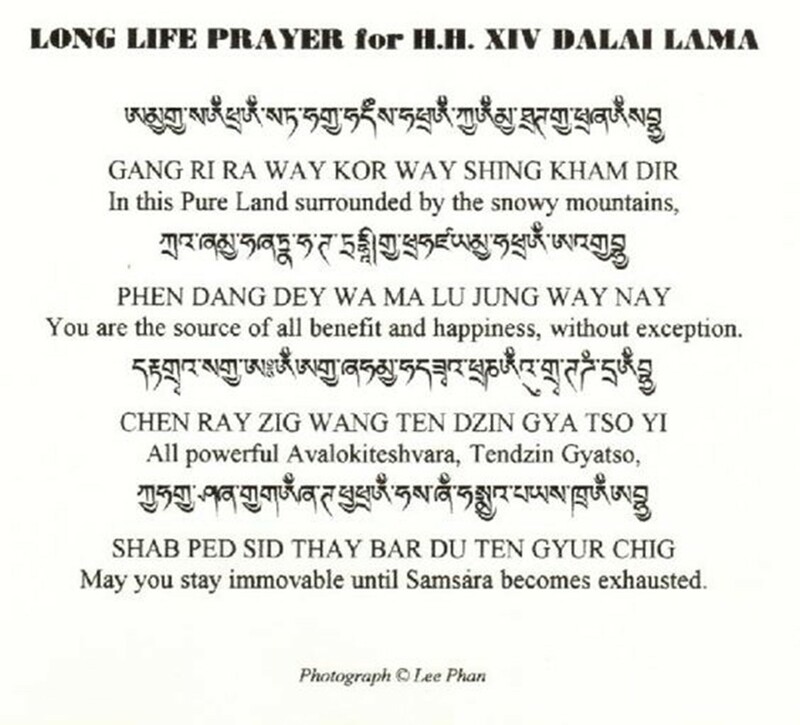 Living Tibetan Spirits offer prayers invoking the blessings of peace and long life to His Holiness the 14th Dalai Lama. Amid concerns regarding his health, Tibetan spiritual leader Dalai Lama said he would live around 100 years. “With your prayers and wishes, I assure you I would live around 100 years,” said the Dalai Lama, addressing representatives of three regions of Tibet at Tsuglagkhang, the main temple in Dharamshala, yesterday. “I would serve the humanity,” he said. Recently, news reports had raised concerns regarding the health of the Dalai Lama and suggesting that he was suffering from prostate cancer. However, later both the Dalai Lama and his personal physician declined the reports. Tibetans representing Tibet’s three traditional provinces and Tibetans from Kalimpong, Gangtok, Darjeeling and Ravangla offered long life prayers to the Dalai Lama yesterday. Thanking the participants and organizers for the ceremony, the Dalai Lama praised the 17 pandits of Nalanda for their logical way of teaching the Buddhism. “The detailed explanation of the ancient Nalanda teachings has only been preserved in the Tibetan language which is why people from China are interested in learning the Buddhism,” said the Dalai Lama. Speaking of the ancient Nalanda Buddhist teaching, he said the ancestors of Tibetans had well-preserved this knowledge which enabled Tibetans to get expertise in promoting the knowledge in their language. 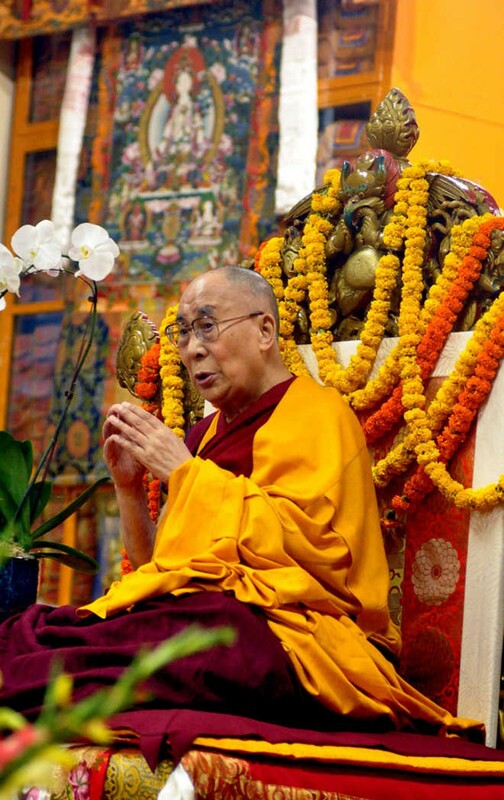 The Dalai Lama said it was the duty of the Tibetans to continue the practical teachings of the ancestors while, at the same time, taking pride in possessing such a vast knowledge. “I respect all kinds of religious beliefs which only teach love and compassion as the ultimate source of human happiness,” he said. 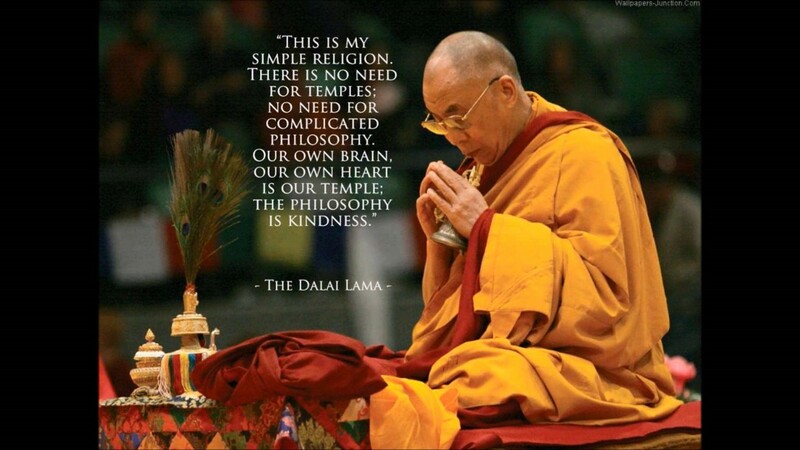 Meanwhile, drawing the attention of the gathering, the Dalai Lama emphasized that the masters of Nalanda encouraged its followers to approach their teaching with logic and reason rather than following it blindly.